« Who is hidden under Picasso’s Blue Room? Two metal detector enthusiasts searching in the Netherlands’ northeastern Drenthe province have discovered 47 gold coins from late antiquity and the early Middle Ages. 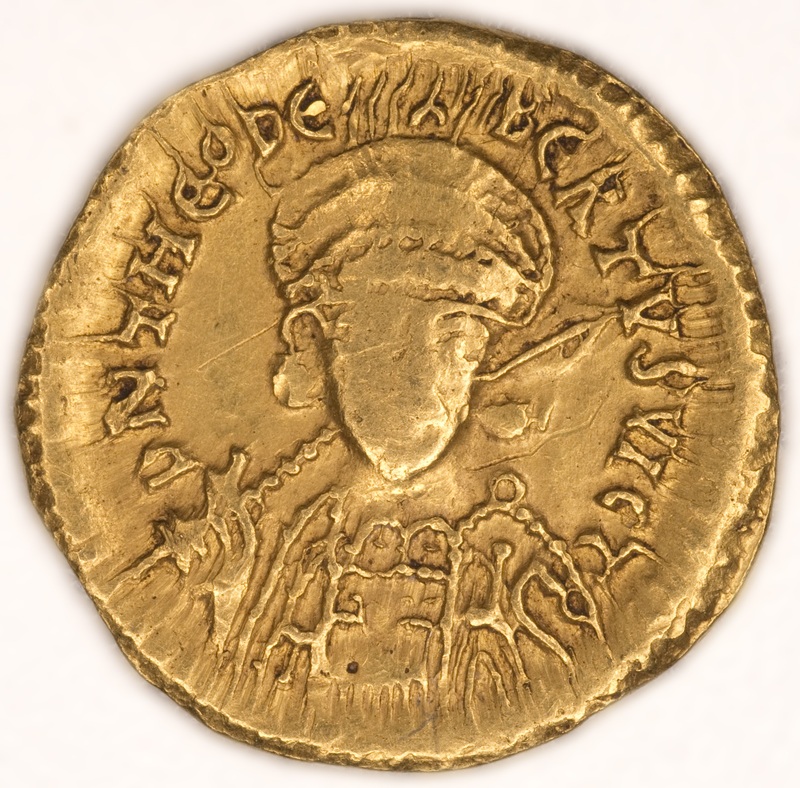 The treasure consists of gold solidi minted in Constantinople, Rome, Ravenna and Laon, in northern France. Most of the coins, 38 of them, are Byzantine and depict the emperor Justinian. 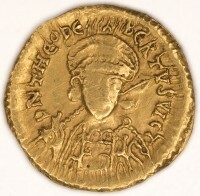 The most recent coin dates to 541 A.D. It’s rare to find loose gold coins from this period in the northern Netherlands; a coin hoard is unique. The last time gold treasure was unearthed in Drenthe was 1955. 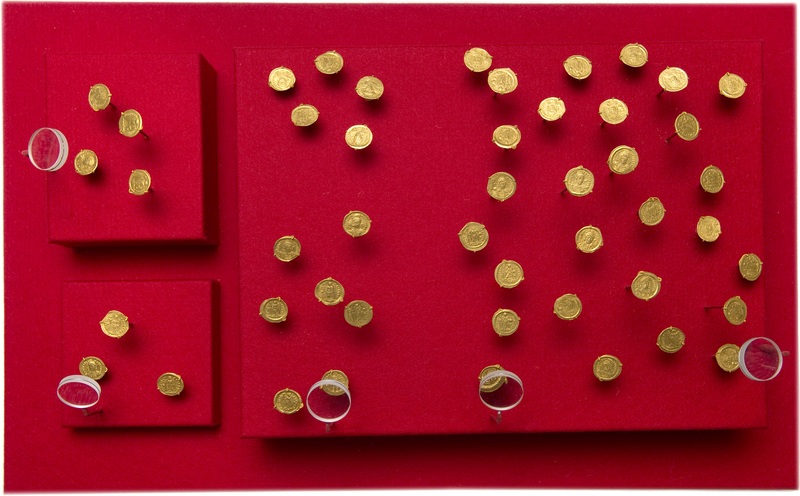 The gold solidi each weigh more than four grams for a total of more than 200 grams, making the find the greatest amount of 6th century currency by weight ever found in the Netherlands. One coin is the only example of its kind discovered on Dutch soil. It’s a Frankish coin minted by the Merovingian King Theudebert (534-548), the first king to issue characteristic Merovingian coinage bearing his own image rather than the Byzantine emperor’s. To prevent treasure hunters flocking to the site, no information is being divulged about the exact find area. We thus don’t know much about the context, but whoever buried the coins is likely to have been a high ranking personage in the local ruling elite. The money may have been a diplomatic payment, probably a pay-off to keep the Drenthe people away from the boundaries of the Merovingian kingdom. That kingdom then was from the South of France to the major rivers in the [central] Netherlands. Very little is known about the Netherlands of the 6th century and few archaeological remains from the period have been unearthed, so this find would be nationally significant even if it weren’t a flashy stash of gold solidi. This entry was posted on Saturday, June 21st, 2014 at 11:28 PM	and is filed under Ancient, Medieval, Treasures. You can follow any responses to this entry through the RSS 2.0 feed. You can skip to the end and leave a response. Pinging is currently not allowed. How odd when I glanced at the photo of the single gold coin it looked like he was wearing an Army officer’s cap. All these hordes they are finding is really hurting the ancient coin market values. Indeed, while expanding into Provence and northern Italy, he apparently received ‘byzantine’ payments. What is now Drenthe, however, seems to have been at that time under alternating saxon and frankish influence. Seemingly, there was ‘frankish’ money involved too. But happily making collecting more affordable to the average guy.